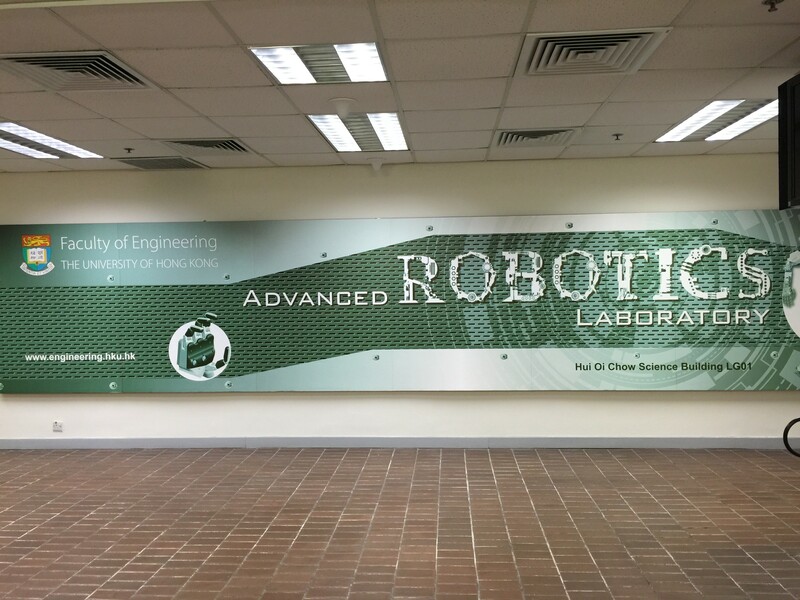 TecHKU is back at the Faculty of Engineering’s Advanced Robotics Lab, where we covered the Atlas robot, the DARPA Robotics Challenge team, and the M2 Robotics team. This time, we spoke to the undergraduate team representing HKU in the first ever Amazon Picking Challenge at the upcoming International Conference on Robotics and Automation (ICRA) 2015 in Seattle, Washington. The four Engineering undergraduates, Marco Chow (MechEng Year 3), Tommy Hu (MechEng & CS Year 3), Yibo Chen (EE Year 3), and Chao Cao (CE Year 2), are part of Team Ali baba, a HK-Shenzhen-US development team that is working on a robot that will be competing against 31 other teams this week. Handling millions of orders worth $61 billion a year, Amazon’s massive warehouses have been known for its highly automated environment, with orange Kiva robots zipping around tall yellow shelves to manned workstations. Such automation have allowed warehouse workers to get through more customer orders. But it still takes human effort to pick the correct items from the shelves according to a customer’s shopping list. This is the problem the Amazon Picking Challenge wants participants—no, robots—to solve. Programming a Universal Robotics (UR5) robot, the four students have been developing unique software algorithms and hardware designs for it since last December. The list from which the robot will read items off of is a subset of 25 pre-selected everyday products which you can buy on Amazon.com. From Oreos and Cheez-It crackers to school glue, outlet plugs, and dog toys, the robot will need to recognise those items, pick them out from the shelf, and carefully lower it into a bin behind it—all in a fully automated process. The team scoring the most points in 20 minutes wins. 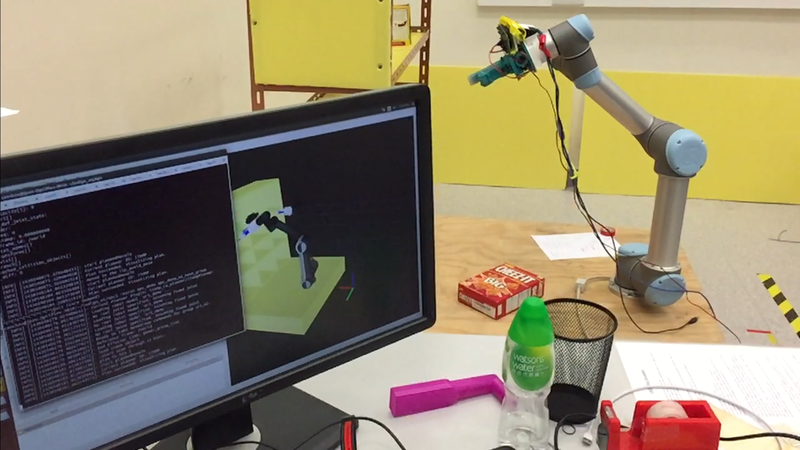 While the Shenzhen robotics company Dorabot, Inc. works full-time on the UR5, the team at HKU is responsible for three main aspects of the robotic arm—motion planning, computer vision, and the gripper. Apart from their interest in robotics, the team said it is also under the advice of Dr Jia Pan that they have joined the competition. Like Dr Wang, Dr Pan is a new staff recruit for ARI specialising in Computer Science. His PhD advisor from UNC Chapel Hill specialises in path planning optimization and is helping the HKU team. We wish Team Ali baba all the best at the Amazon Picking Challenge!